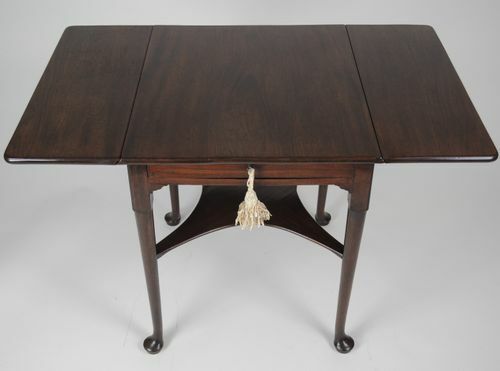 "Rare George I mahogany Supper/Breakfast Table"
A rare George I/George II twin flap mahogany Supper Table, also referred to as a Breakfast or Pembroke Table. 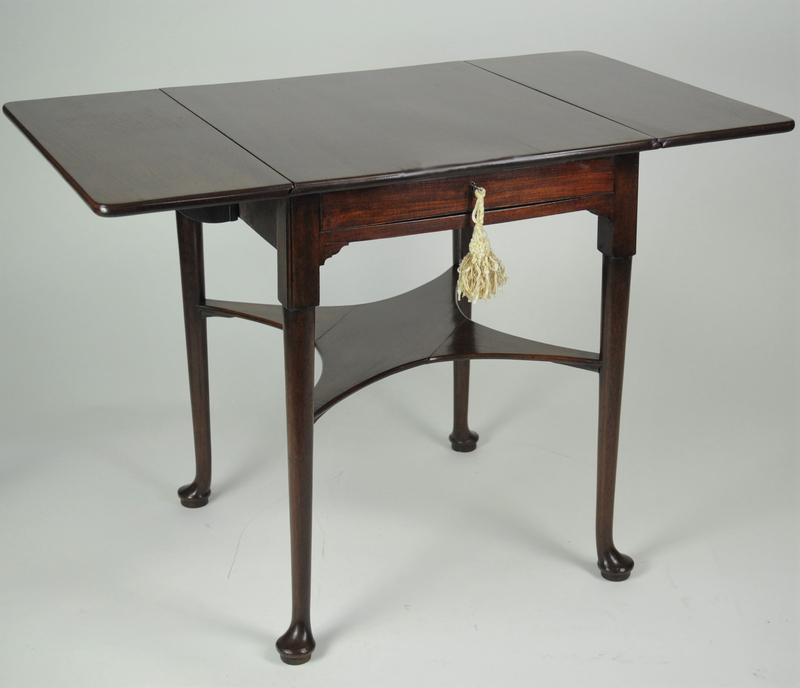 the top with moulded edge above a narrow apron with a drawer and standing on turned legs with pad feet and with high level crossed shelf. 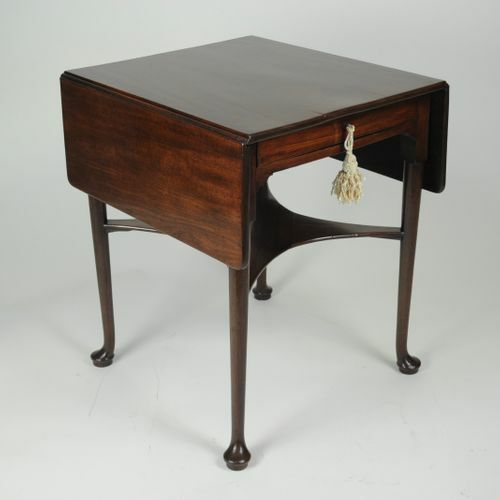 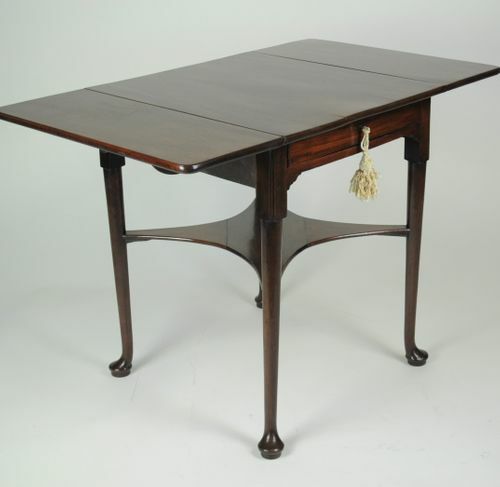 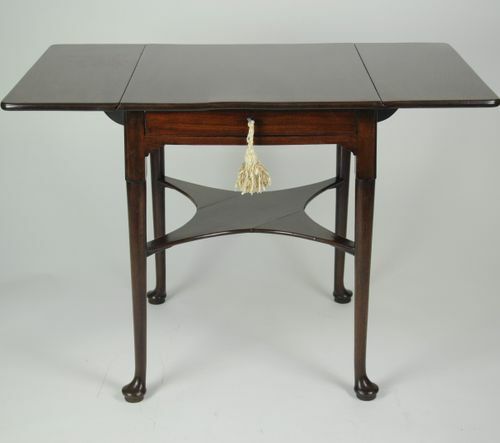 This table pre-dates the term Pembroke Table but is described by Chippendale as a Supper or Breakfast Table. 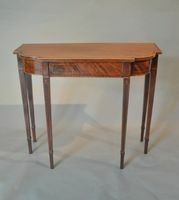 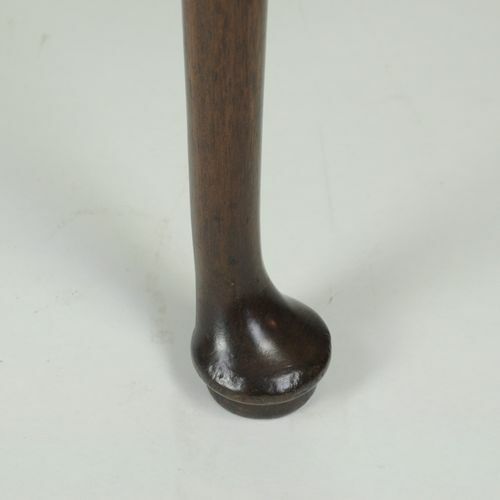 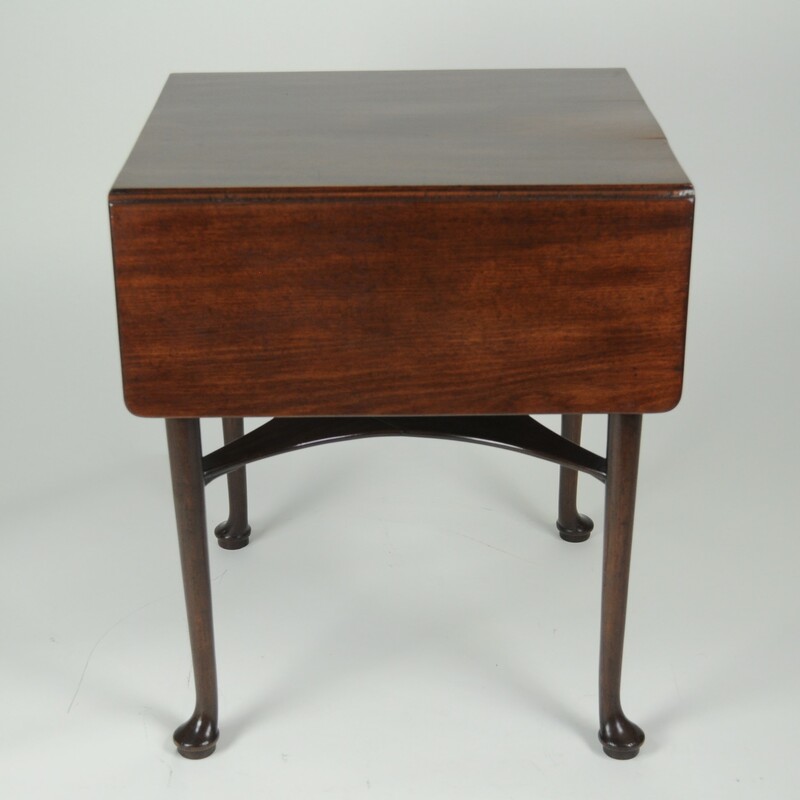 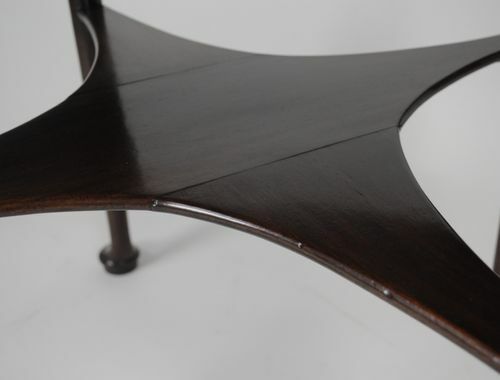 This one is a very early example made in dense Cuban mahogany in the early 18th century taste.